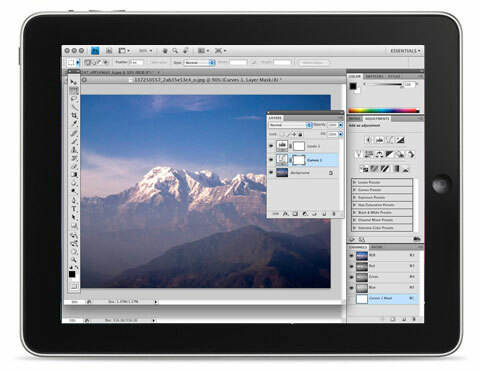 Adobe has been taking baby steps into the mobile realm, from Photoshop Sketch, to Premiere Clip. These very limited mobile versions of Creative Cloud, can walk hand in hand with their desktop big brothers. But according to a new report, Adobe is poised to launch full working versions of their most popular apps in a mobile configuration, and that could change everything. Starting with Adobe Photoshop, Adobe is working overtime to bring the entire skill and tool set of the its full version to iOS. That’s certainly exciting for still photographers and graphic designers. But it also holds great promise for video editors. As the iPad Pro gets more powerful, Apple is looking to probably make it the main consumer device for content creation, while relegating the iMac, MacBook Pro, and the MacPro tower to professional environments. Adobe’s Project Rush on the iPad. Will Premiere be Next? But even there, with mobile filmmaking, there are content creators who can shoot, edit, update and share their short films and even features with a mobile device. 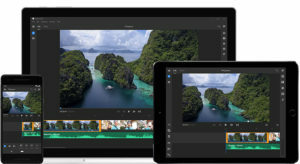 For years, Adobe has ceded the mobile post production platform to third parties like Luma Fusion, and others. But then Adobe Rush was announced, and showed just what a more sophisticated editing platform could do. 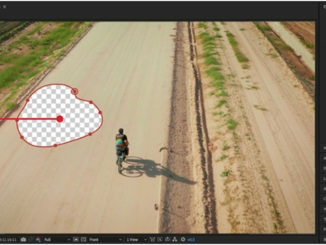 So, if Photoshop for iOS is a success, Adobe may be looking to create a full version of Premiere for higher end iPads, and that would certainly be exciting. The benefit will be one of synergy. A video editor can be on set, get the footage and begin to scrub and cut a daily together while still there to show to the director. 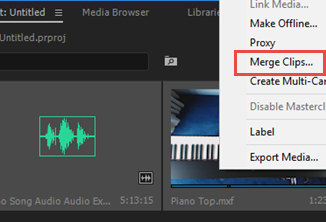 Then, any edit lists will then be transferred to the edit bay, where a beefier desktop editor can make further cuts and more sophisticated workflow decisions, layering additional assets like titles, special effects, music, and color grading. But the concept is going to be tested in Photoshop, and we’ll likely get a glimpse of it during Adobe Max this fall, during the annual Adobe Sneaks presentation. That’s where Adobe gives us a glimpse over the horizon of what it could release in the near future. If so, I wouldn’t look for a full mobile version until 2019. But if we can get into an open Beta for it, I’m going to definitely have to do a short film just to see what it can do. But forget about a mobile version of After Effects. I don’t think the iPad is there yet. 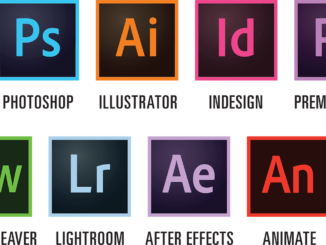 Adobe Finally Kills Flash … I mean REALLY Kill it.